You won’t find a rare or carefully considered older vintage of Pinot Noir tasted and discussed at a Millésimes Alsace Master Sommelier class. Nor will it be featured in a magazine article’s varietal spotlight on the great wines of the region. The world may ignore the potentiality and the well-established roots of the expatriate Burgundian in Alsace, but there are winemakers who know. 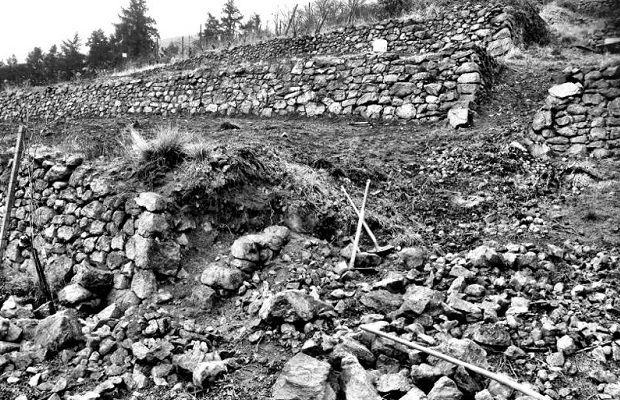 The future of the grape with a long history is already entrenched in the Alsace progression. Pinot Noir is the only red grape variety authorized in Alsace. The official marketing and regulatory board for the region, Le Conseil Interprofessionnel des Vins d’Alsace (CIVA) recognizes the trenchant antiquity. “What is today considered a novelty in the region is in reality a legacy of the past that is becoming increasingly successful.” According to the Wine Society, the oldest recorded grape variety in Alsace is in fact Pinot Noir, predating Riesling by at least seven centuries.” That exaggeration aside, records dating back to the 16th century indicate that the grape variety was stored in Abbey caves and poached in tithes by the Church. Out in the diaspora the affirmation of what best indicates Burgundy is the requiem for respect. Oregon, Central Otago and certain pockets of (cooler) California are well into their seasons of repute. Yet sometime around 10-15 years ago the $60 Sonoma Pinot Noir became serious fashion. Thanks to darlings like Kosta Browne, the sky became the limit, in California and elsewhere. A host of producers joined the ranks of the rich and famous. Looking back now, the black cherry bomb initiative temporarily cost the New World its mojo. Those growing pains have worked to great advantage. Today you have to be better and fashion elegant Pinot Noir to attract an audience and become a hero. This goes for Sonoma County, Napa Valley, Santa Maria Valley, Santa Barbara, the Willamette Valley, Marlborough, Martinborough, Nelson and Otago. This applies to the Okanagan Valley and South Africa too. Niagara and Prince Edward County have followed suit. Vignerons like Norman Hardie, Thomas Bachelder, Moray Tawse and Harald Thiel understand what needs. Their wines have ushered in a $40-plus Pinot Noir era in Ontario. But Alsace? Please. Today a reckoning about Pinot Noir incites nothing but a series of car wrecks along the wine route from Thann to Marlenheim. Burgundy and Bordeaux do not accept varietal expatriate inclusions. So, why should Alsace? For one, global warming. Say what you will about that load of scientific horse crap but the biodynamic culture that permeates much of Alsace is in tune and well aware of temperature change and ripening schedules. More and more growers are picking their whites earlier, to preserve freshness and acidity, not to mention the conscious decision to cheat botrytis and elevated residual sugar. Embracing Pinot Noir is on many of their minds. Some are ahead of the curve and have already made some exceptional wines. Many examples from the first eight years of the 21st century are showing beautifully in 2014. Phillipe Blanck poured a very much alive 1991. 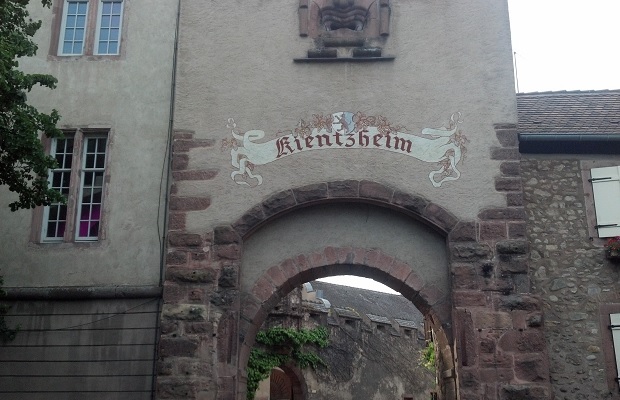 How many Alsace wineries can lay claim to one of those in their cellars? It’s common knowledge to an Alsatian cognoscenti that white wines drive the mecca. Riesling, Pinot Gris and Gewürztraminer and their associations with the Grand Cru and lieu-dits are the it vines. Vendanges Tardives (VT or, Late Harvest) and Sélection de Grains Nobles (SGN, or selection of noble berries) sit on thrones of glory. Even traditional varieties like Auxerrois and Muscat continue to outshine and suppress the possibilities for Pinot Noir. 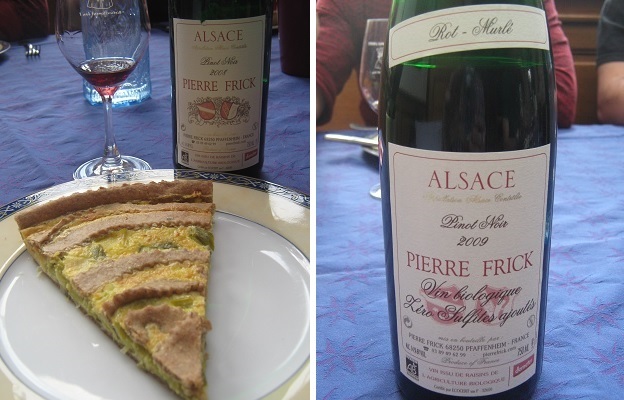 Pinot Noir has yet to receive any proper respect both in and outside of Alsace. Can there be justice served in a wine region where a noble variety must share nomenclature with a bottom feeder like Pinot d’Alsace, which is not really a Pinot at all. The scavenging white blend draws attention while making unsubstantiated use of the Pinot prefix. Pd’A need only contain a small percentage of any type of Pinot (Blanc, Auxerrois, Meunier or Noir) in conjunction with other white Alsatian varieties. According to wikipedia:”Lack of acidity and complexity often prevent Alsatian Pinot Noir from achieving anything more than pleasant, easy drinking, quality levels.” Them’s fighting words. That faux Pinot sideshow is really a whole lot of nothing. The real terror is that if you grow exceptional quality Pinot Noir on Grand Cru terroir in Alsace you can’t label it as such. If you produce Riesling in the Hengst, you are good to go. If you grow Pinot Noir in any of the storied “male horse,” vineyards, the resulting wine, with respect to the variety, is only considered lieu-dit and must be labeled as such. This is the Alsace Grand Cru taboo. 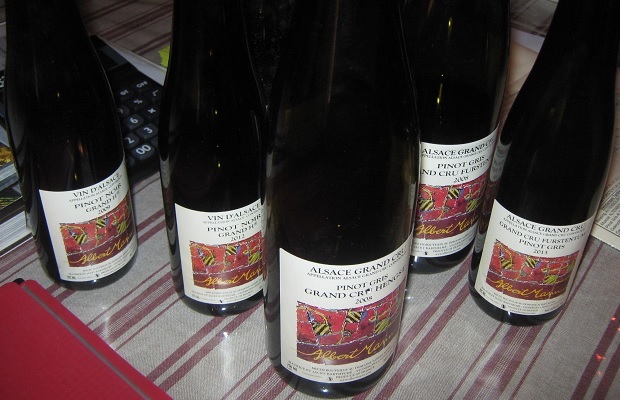 As part of his recent three-part report on Alsace, British journalist Tom Cannavan covers some of the wines of the Grand Cru Hengst. Cannavan so rightly notes that “the problem is, not only is Pinot Noir ineligible for Grand Cru status, but the name Hengst cannot even appear on the label.” He did sample some basic Pinot examples and wondered aloud about the injustice being a non-sequitur. He missed the boat. Case in point Domaine Albert Mann. Back that up with Pinot Noir made elsewhere by Pierre Blanck, Jean-Pierre Frick and Mélanie Pfister, among others. 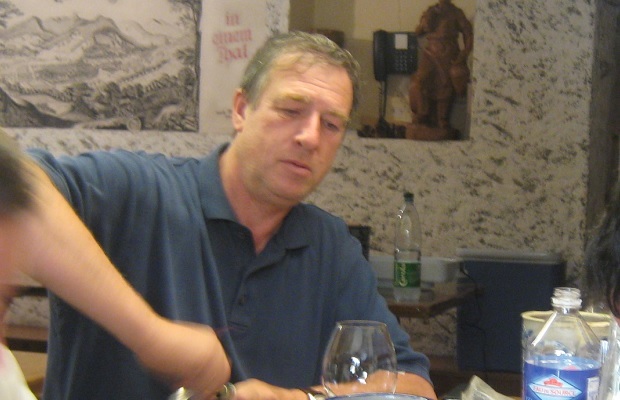 Maurice and Jacky Barthelmé of Domaine Albert Mann shirk the system with the use of a simple letter, an “H” or a “G” in place of Hengst and Pfersigberg. Philippe Blanck of Paul Blanck & Fils does the same thing with an “F” for Furstentum. It’s a wink-wink, say-no-more kind of approach. A grand parade of life-giving packaging. The brothers Barthelmé and Mr. Blanck know what excellence lies in their Pinot Noir holdings and understand the bright red future for Alsace. “Pinot Noir, like Riesling, is a minerologist,” insists Maurice. Don’t think of the brothers as pioneers so much as pragmatists. CIVA has surely taken note and despite the resistance to add Burgundy to the charges, change is inevitable. The Pinot Noir eyes never lie. 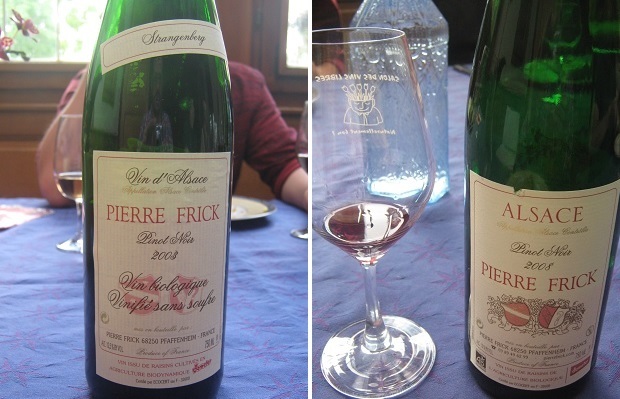 Here are two dozen Pinot Noirs tasted in Alsace during a week in June. Though geologically speaking this Pinot Noir out of 1997 plantings in calcaire and redstone soils is a fault on the hill of nature, as a wine it shows no discernible impropriety. This represents a tectonic shift for Alsatian Pinot Noir, a lithe and floral wine of articulation and an eye opener to prepare for the intensity of Mann’s Grand letters. It’s a lightly woven, silky soft Pinot, with a furrowed brow and the necessary Mann clarity of responsibility. Density is through a looking-glass, a gateway to Alsace and what future varietal decorum may be achieved. From calcareous soil and still the Albert Mann zealous clarity, with similar intensity and protracted density. There is a lacuna permeated by a hint at black cherry but the ken is never fully realized. At 13 per cent abv and with a set of fine, sweet tannins (even more so than La Faille), these 20 year-old vines have procured a piled Pinot Noir. A top-notch (though cool and late harvested from a small crop) vintage for Mann (and Alsace) Pinot Noir, here the calcareous parcel at Sigolsheim above an old monastery called “Les Clarisses.” Some early rot and bottle reduction have both been stabilized as the wine peels off the rust and goes mellow, in full humanizing and sensual mystery. “How great the wine is when you can see the vintage, ” chimes Maurice. Controlling the effects of both nature and fermentation seems no biggie to the brothers Barthelmé. The act is of such minor tragedy, the climax characterful and sacred. A tingle of eastern spice twitches over bright fruit and a certain florality, materializing what can only be described as obvious commitment. It’s all about the journey. From a blend of plantings (1975 and 2004) in Wintzenheim limestone-sandstone soils on the Grand Cru Pfersigberg. Whole bunch pressed grapes (60 per cent) saw a range of oak; 25 per cent new, 50 one-year old and 25 older barrels. A light filtration was used to combat some reduction. This P is a touch ferric, not unlike Volnay but also because of the vintage. The vines in ’12 were subject to cool, then humid, then dry weather. The flux makes for a full floral display, from iron through to roses, but the wave stays linear and rigid. In its youth, the P is calm and on a level plain along its ECG-considered PQRST journey. It will soon spike past Q, up to R and then settle in for the long haul. Will hit its glide at S and T at the end of the decade. From what Maurice Barthelmé describes as a “paradoxical vintage” that started out dry and turned rabidly humid. This has huge personality, less refinement but more delicacy than the Hengst. Once again it’s a touch reductive and that tenuity is in the form of cured meat. The style here emulates Burgundy more than any of the P’s, much more than the H’s and worlds beyond the Failles and the Claires. The iron gait exceeds ’12 with a railroading layer of grand P funk. A chain of earth-resin-tannin has “got the knack,” jumps up, jumps back, does the locomotion with “a little bit of rhythm and a lot of soul.” The 2011 Pfersigberg is unlike any other Alsatian Pinot. It requires plenty of air and even more time to unwind. Look for it to become a classic 20 years after release. In the ’09 you can smell how five years of bottle time (slightly accelerated by the small format) brings Pfersigberg Pinot fruit into a Grand Cru station. This is in the zone and just about as perfect an example can be to represent the young cottage industry that is Alsace Pinot Noir. Five more years would send it into philosophical complexity. The classic “P” reduction is there, with amazing structure from the palate. Wonderful funk, the proverbial Brett-esque creature of Pfersigberg, along with cherry and resin of pine. Wonderful animal. From a south-facing plot in Wintzenheim on the Grand Cru Hengst. The soils are deeper, the clive made of consolidated clay or marly limestone and sandstone. All aspects of the Pinot Noir here are enriched by the density of nutrition; extract, spice and tannin. Any thoughts of overripe character in any way are thwarted a circular saw of energy that cuts through the cake, breaking it down with extreme prejudice. Tasted at 9:00 am this is a wake up call of the highest order. Notes Maurice Barthelmé, “this must be planted in calcaire soil.” Strike another notch on the Grand Cru petition. Typically Hengst, with a whiff of reduction, though never as pronounced as the Pfersigberg. In the ’09, which was a star-caste vintage, the “H” stands for high. As in hue, extract and phenolics. It could be imagined that Syrah were blended in (Maurice said it) and like its namesake (German translation), “Hengst is a stallion.” The reduction is (sic), as Eleven Madison Park’s Jonathan Ross noted, “favourable flavour. A creaminess comes from grape tannin, not oak.” This is meaty Pinot Noir, seeking out rare flesh, in beef or game. It will travel well and live for a decade or more. This vintage preceded forward seasons that brought out warm, fully ripe and optimal phenol-realized fruit. From Maurice Barthelmé’s vineyard, between Mambourg and Furstentum, in Kientzheim. Clear, clean and precise. This was perhaps a bit ambitious in its oak soak from a year that Maurice considers “difficult and early,” but the parcel never lies and what a parcel it is. “Pinot Noir, like Riesling, is a mineralogist, ” says Barthelmé. This is Mann’s purest Pinot, if a touch under ripe, but that is the key. Whole bunch pressing and the oak envelopment has created a round flavour lock and Maurice feels he needs 10 more years to master this technique. Though this may have been the early stages in the development of the Mann Pinot candidacy, by 2018 it will reign in Alsace. From granite and gravel soils, the former bringing a bitter component, the latter what Philippe Blanck calls “a facile aspect.” Dark fruits, like black cherry and plum are flecked with pepper and cloaked in a silky robe. “Almost a sort of texture wine,” considers Blanck. The bitterness is beautiful and offers a window of proof towards the ageing capabilities of Pinot Noir in Alsace. “Everybody has an idea of what is a Pinot Noir in the world,” says Philippe. “This is a classic one. And they age crazy.” Classic vintage too. From now and for 10 years. The F is for Furstentum, the Grand Cru on the northern slopes of the Weisbach valley split between the communes of Kientzheim and Sigolsheim. The soil is marl. Philippe Blanck insists “we’re looking for authenticity. Not a wine of impression, but a wine of expression.” Here is cherry set on high, bright and exploding, with savoury wild herbs and direct linear of acidity. Authentic yes, silky no. Can age for 10 more years and somewhere along that line the direction will find a more approachable intersect. From a vintage Le Conseil Interprofessionnel des Vins d’Alsace (CIVA) called “precocious” and of irresistible wines. Mélanie Pfister’s ’09 comes from the calcareous Clos Bamhauer, went through two weeks maceration in Inox and then spent a slow 18 months in Burgundy barriques. Incredibly fragrant, with a rich density and a charge of wood spice. Its black cherry waft brings Burgenland to mind, that and the elastic, silty grit by way of some vines grown on gravelly soil. What sets it apart from everywhere else not called Burgundy is the lack of any sort of varnished note. Purity prevails. This block is literally le muret rouge or, the red stone wall. From brown, ferric (ferrugineux), hard calcaire soils. In 2008 you could not write organic on the label (this changed with the 2012 vintage) so Frick sub-labeled the bottle Vin Biologique Zéro Sulfites Gioutés. Natural wine. Rustic, full of horns on acidity. The combination of clay, marl and the fact that the plot benefits from extended late-afternoon sun all lead to vigor, rigor and rigidity. This is Jean-Pierre Frick’s thickest and most Romantic brushstrokes. Richly textured like a Gaugin portrait of the The Schuffenecker Family. Post-impressionist Pinot Noir. From the Strangenberg lieu-dit, a hill parcel known as la colline aux pendus. Soil composition is hard, durable brown calcaire. After a quick whiff of farm droppings blow off, Jean-Pierre Frick’s Pinot Noir reveals a bright, light and feminine side. It is now blessed by gentle, resolved tannins. The generous spirit, kind heart and gentle soul of this Pinot offer nothing but calm pleasure. Its coat has not even a trace of primer. It is simply thoughtful and considerate. The iron minerality persists but with static and clinging trace fibers. A wine perfectly suited for a middle course at today’s table. Sub-label notes this ’03 as Vin Biologique Vinifié Sand Souffre. Years before it was fashionable or righteous to farm and vinify organically and without sulphites, Jean-Pierre Frick was looking to the stars. The Strangenberg is a very dry part of Alsace, Mediterranean in climate. This is earthy Pinot, like reds from Corbières or Sardinia, with its mutton-funky and roasted game aromas. Here is proof that non-sulphured wine can age, with the simple equation of fruit, acidity and tannin. It’s actually hard to believe so much tannin can emit from the collines of Haut-Rhin in Pinot Noir. Crazy actually. There is an underdeveloped green note along with some roasted and cooked flavours so peak has been reached. When left for 30 minutes in the glass the tannins begin to dry out. Like southern French and Italian reds, another 10 years would bring caramel, soy, figs and raisins. Either way. now or then, this Frick will also be interesting. Spent six months in one-year old (Allier forest) barrels. Bright, tight, full-on red cherries. A quick, fun, pure expression, clean and full of cherry. A two to three-year Pinot Noir. From the Val Saint Grégoire lieu-dit, the historic name of the Valley of Munster (before the Protestant reform). The soil is decomposed granite rich in micas. Leans warm and extracted but with a high-toned, spiced coat tension. A generalization would place it more New World than Old, verging to black cherry, though again, the spirit is high. In contrast the yields were low (17 hl/ha) from the Cru, let alone the top-level of output from such a low yielding vintage. “When nature isn’t generous the yields go down fast,” confirms Dominique Schoenheitz. Good balance and well-judged. From the lieu-dit Froehn on the edge (the limit) of the Grand Cru Altenberg de Bergheim. Such a spicy florality and the underlay of calcaire from what is ostensibly hard limestone and Jurassic Lias marls meet one another in a geological confluence of fossils, red ferruginous soil and hard rock. A slow 12-month accumulation to fermentation has brought this Pinot Noir to land’s end. It bares un uncanny resemblance to the Prince Edward County Pinot Noir ’12 by Norman Hardie. Over exposure to sun, wind and everything else nature delivers gives this wine its vigor, its core strength and its vibrant personality. The Rentz take on Pinot Noir grows up in oak for 14-18 months, from a mix of new and used (no older than four years) barrels. The style is decidedly rich Pinot of a sweet tooth with a soft spot for quality chocolate. Spice supplements of orange and cinnamon, along with ethical acidity bring forth a wine bien charpentée, agreeable and ready for PDQ consumption. Flat out fresh, mineral Pinot Noir. Only 100 cases were produced from a chalk and clay single parcel, on the Grand Cru Eichberg. GC yes to Phillipe Zinck, “but not official.,” Very little barrel influence here, in fact two-thirds of the Terroir was fermented in stainless steel, “to keep the mineral.” The cherry scents has tinges of plum, licorice and black olive, but just around the periphery. It’s otherwise bright and fresh with a quiescent streak throughout. Excellent. From the village of Beblenheim, this Pinot Noir gets the moniker from deposits of Oligocène of the tertiary period consisting of conglomerated rock on a base of marl. Jean-Christophe Bott considers the low-lying grapes of this terroir on lower slopes to be Grand Cru (in quality). Picked early to avoid resinning, cooked or jammy flavours, the wine was matured in (one year-old) barriques for 14 to 18 months. Quite earthy and spiced explicitly by cinnamon, though delicious, this is Pinot that flirts with what Bott wants to avoid. Served with a good chill it harmonizes its intent. This entry was posted in Alsace, Domaine Albert Mann, Domaine Pierre Frick, France, Furstentum, Grand Cru Altenberg de Bergheim, Grand Cru Eichberg, Hengst Grand Cru, LCBO, Pfeiserberg, VINTAGES, WineAlign, Wines Tasted, Zind-Humbrecht and tagged Alcoholic Beverage Manufacturing, Beblenheim, Beverage Manufacturing, Beverages, Biodynamics, Clos Bamhauer, Conseil Interprofessionnel des Vins d’Alsace, Culture and Lifestyle, Domaine Boyt-Geyl, Domaine Paul Zinck, Domaine Pfister, Domaine Schoenheitz, Drinks and Beverages, Edmond Rentz, Food and Beverage Sector, Food and Cooking, Food and Wine, Froehn, George Lorentz, Grand Funk Railroad, Gustave Lorentz, Heimbourg, Henri Schoenheitz, Iron and Wine, Jacky Barthelmé, Jean-Christophe Bott, Jean-Pierre Frick, Kientzheim, Linzenberger, Mambourg, Maurice Barthelmé, Mélanie Pfister, Michael Godel, Olivier Humbrecht, Organic, Organic and Biodynamic, Paul Blanck & Fils, Philippe Blanck, Philippe Zinck, Pinot Noir, Red Wine, Sigolsheim, Strangenberg, Tasting Notes, Val Saint Grégoire, Vineyards and Winemakers, Wine, Winemaking.